Talkohlorit (talcous stone talkokarbonat, talkomagnezit) - clean rock, which is due to the ease of handling, durability and high thermal properties, is a beautiful building and coating materials with heat-resistant. Talkohlorita uniqueness lies in its very high heat (2,5 times higher than that of furnace bricks). For 2-3 hours firebox of the stove or fireplace talkohlorita can accumulate enough heat to maintain proper temperature in the room during the day. Talkohlorit heated much faster than clay bricks and to better withstand changes in temperature. The temperature of the furnace of talkohlorita and fills the room warm zyabnuschego ideal for a person who just feels like a warm wave penetrates deeply. This is because the wavelength of thermal radiation talkohlorita equal to the wavelength of thermal radiation of the human body, so the heat coming from a furnace heated, soft and pleasant. Doctors proved that the thermal radiation from talkohlorita beneficial effects on health and health rights. 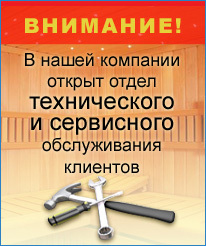 The furnace, made of talkohlorita, odderzhivaet stable humidity and temperature sauna room or sauna baths. Heating stoves, made of talkohlorita attached heat coming from a furnace, a special softness. TENy in elektrokamenke, remove to a plate talkohlorita not pose saunas positive ionization of air that dramatically improves the health effects of the stay in the sauna. Thanks to such rare qualities of the material more than 100 years talkohlorit widely used in Finland, Russia and Italy for the construction of stoves and fireplaces.